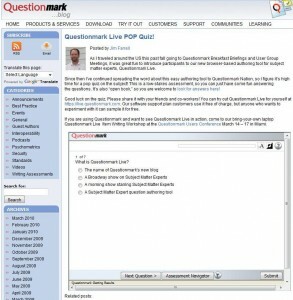 Embed a Questionmark Perception assessment, survey or quiz inside your blog entries on WordPress. 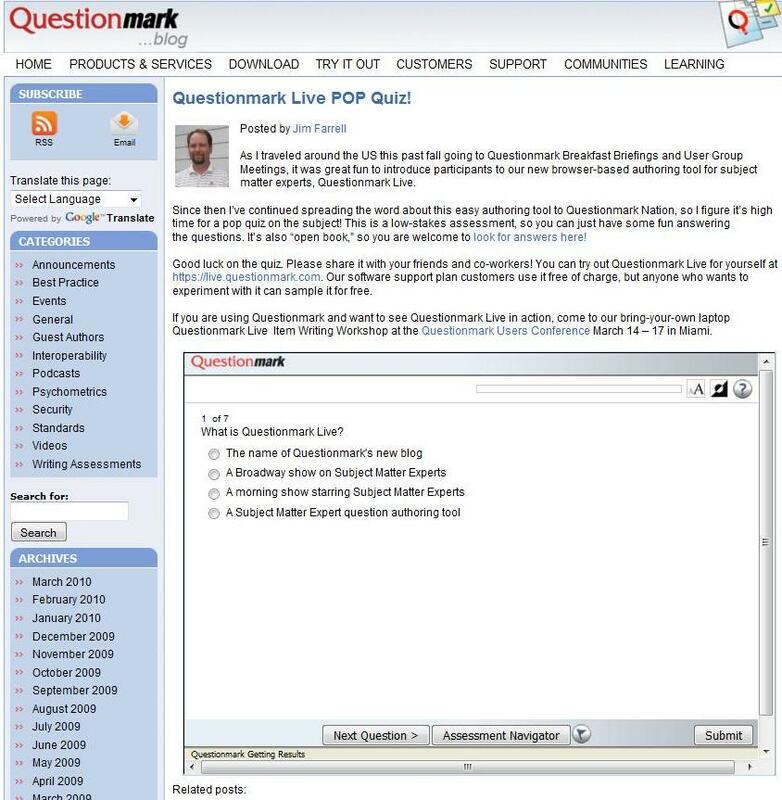 To see how this would look, see embedded quizzes within our own blog. Check out this How-to on our developer Web site. WordPress is an open source blog publishing application and can be used for basic content management. A low-stakes quiz or survey within WordPress is a great way to interact with your blog and collect information from your readers. Please note it is only possible to include the IFrame code in a self-hosted WordPress blog.